Great fonts are the cornerstone of great design projects. Make your creations look their best down to the letter with Fonts - The Master Collection. Design a solid foundation of success with our high quality font selection. 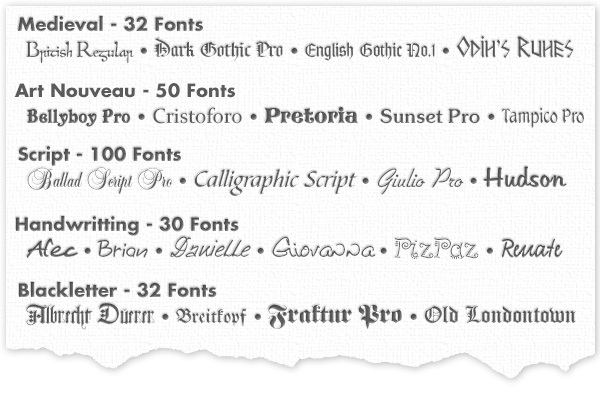 All of our fonts are 100% Royalty Free and include a Commercial Use License. For Business or Personal Use! Macintosh® OS X 10.7 and greater, Intel® processor 300MHz or faster, 256MB RAM, 512MB free hard drive space, keyboard & mouse, CD-ROM drive.